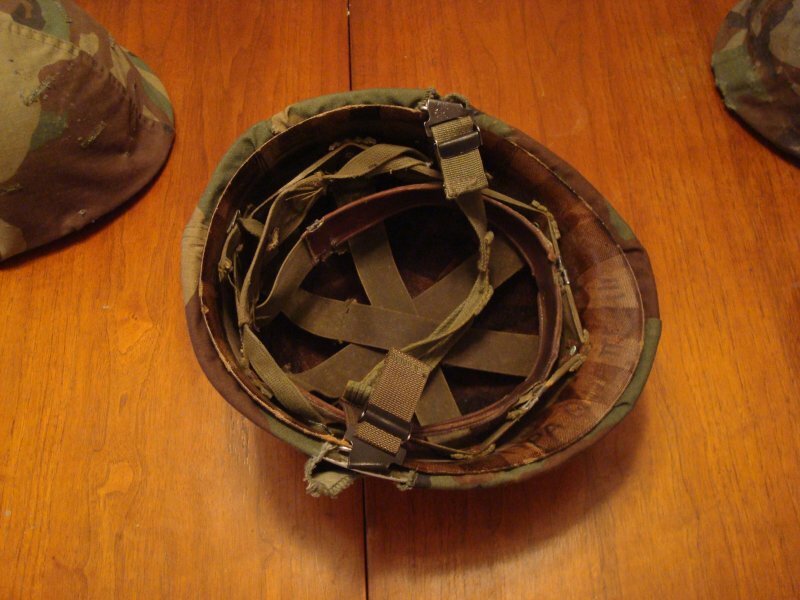 This helmet was given to me by a family friend back in the early 90's. 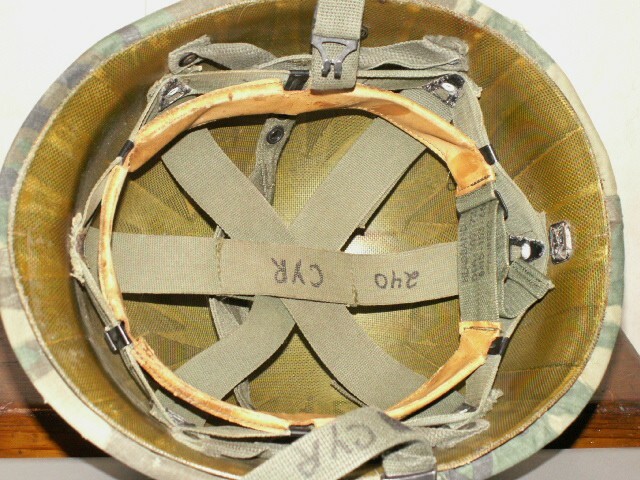 I have never taken the cover off but I can see that it is the first pattern unmarked ERDL cover that was used late in the Vietnam war by the US and AVRN. 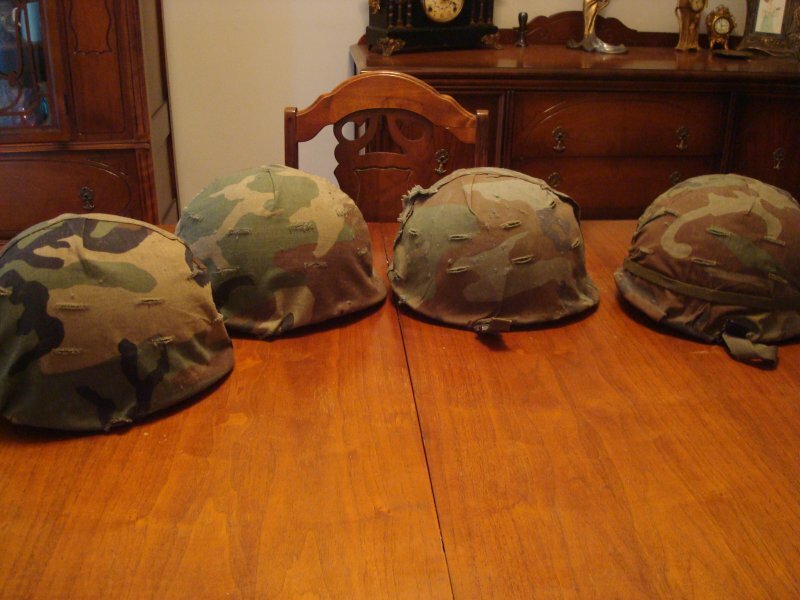 I have yet to find a picture of Canadians wearing these ERDL camo helmet covers but I'm sure a few made it up here. Liner is dated 1982. It use to have a rubber band style cover band on it, but it deteriorated and broke apart. 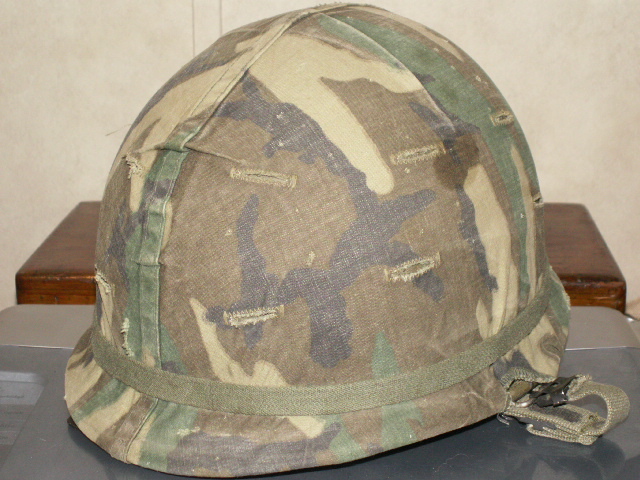 The OD helmet band on it is a replacement I added. This is a Canadian used example from the late 1960s. I would like to add to your thread by showing an interesting M1 I've just found that was used by the Canadian Forces. I've picked up a few of these previously that were the usual late M1 shells, liners, woodland camo cover and Type 1 chinstraps. The one I just picked up was at first sight interesting for having an older P64 Vietnam era liner in it. Closer inspection showed it to be a great front seam, fixed bale McCord shell dated Sept 42 with amazing original paint. It does have one overpainted area covering a front red triangle that I believe was for opposing forces exercises. So kind of a neat find. Nice helmet find. 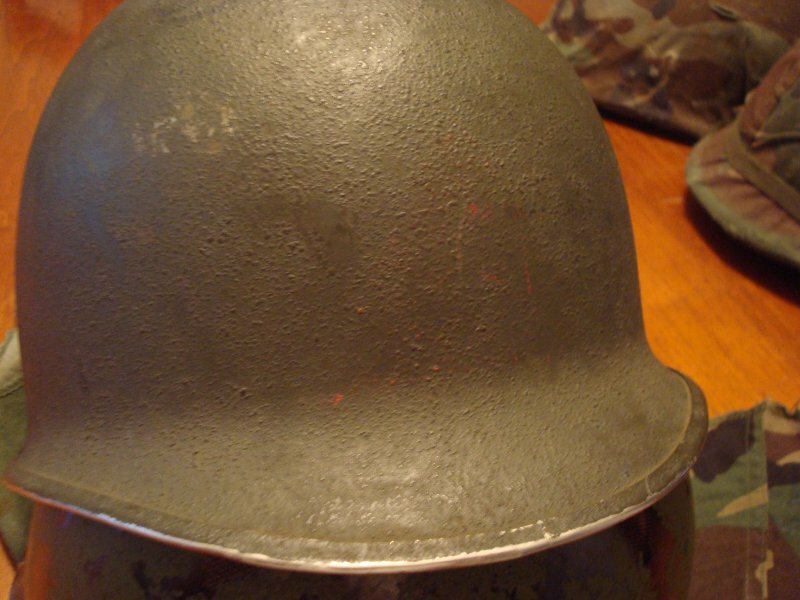 Yes, the red triangle marking is unique and can be found on corresponding helmet liners.